I love anything on the internet that can help me expand my cultural horizons, and introduce me to new stuff. Our first site fits that bill brilliantly. Sometimes you know what kind of mood you are in, but you cannot think of any tunes to play. 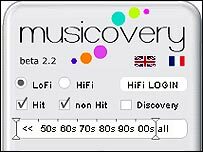 With musicovery.com you can use the really simple interface to start a radio broadcast of music that match your mood or the tempo you desire. The control panel sits on the left of the screen - use the tabs labelled mood and dance to choose how you want to define your music selection. Mood is the most interesting for me, allowing you to click to place the locator anywhere from calm to energetic and dark to positive. If you like some genres more than others then use the tick select boxes in the list below, and finally hone in on the era the pleases your ears using the date slider above. The low-fi player is free for unregistered users - the quality is not perfect but is OK, especially if you are looking for inspiration about what artists to buy to expand your collection. Another music site, of sorts, and some finger tapping action that is really rather clever. Ever had a song in your head and you cannot remember what it is called? 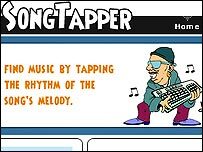 Songtapper.com could be the answer you have been searching for. The idea is incredibly simple. Just use the space bar on your keyboard to tap out the rhythm of the song, then ask the website to return a list of possible matches for you to review. Click the video example link on the top navigation bar if you need further explanation. There are currently a little over 50,000 songs in the database, so do not expect it to know the more obscure ditties running through your mind. But I tried it out on a variety of popular and classic hits and it was pretty accurate. And as this content is user-generated you can help to build the database yourself by adding any new tunes you can think of. Click the link at the top of the Song List page to contribute. The internet provides a great window on the world from your front room - but sometimes you just have to get out there yourself and see it in person. 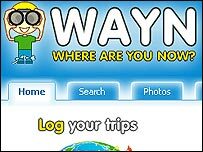 Wayn.com is a virtual community website for travellers and adventurers who want to answer the question "where are you now?" Registration is free and easy, then you simply add the details of where you are planning a trip, to hook up with other members of the website who are either living in the place, or planning a trip there themselves at the same time as you. Use the link to Take the Tour on the opening page for a more detailed explanation. Like any social networking site, by adding buddies to your lists you build an extended web of contacts all over the world, and you can use the chat and communications facilities on the website to stay in touch and share stories and photos. Obviously the usual caveats about meeting strangers from the internet apply. And finally, a little bit of random fun where you get to play creator and design your own very weird and wonderful creatures. 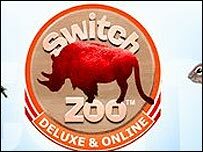 The concept is very simple - just click on Make New Animals to begin and then wait a few seconds for the images to load. Select your basic animal pattern using the wheel in the main window, or click the link to the list below. The next step is to customise your basic beast by adding a new head and tail. The panels are all pretty self explanatory, then when you are done you can either take a photo to see your finished work, or send the image to a friend as an e-postcard using the links in the bottom left of the playing area.